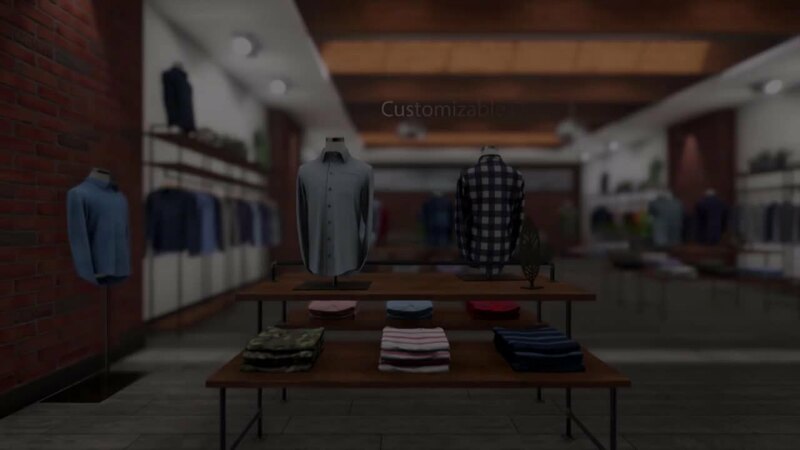 CHICAGO, April 11, 2019 (GLOBE NEWSWIRE) -- InContext Solutions, the global leader in 3D simulation software and virtual reality solutions for retail, today announced the expansion of its core offering, ShopperMX, to include customized offerings for both apparel and footwear retailers and brands. Due to the complexities in sourcing and production, the apparel and footwear industries have been historically slow to adopt new technology and have instead relied on business processes rooted in tradition, resulting in high travel and shipping costs, merchandising execution challenges, and outdated shopping experiences. Digital transformation is top of mind for many leaders in apparel and footwear as they look to improve topline brick-and-mortar sales and reduce operational expenses. InContext is poised to help streamline inefficiencies and drive growth. Using InContext Solutions’ 3D simulation and virtual reality platform, ShopperMX, clients can digitize sampling, visual merchandising, and store communications to reduce the costs of prototyping, enhance the customer experience, and improve operational compliance. Sampling: Produce and manage single-source digital samples through the lifecycle of an item as it migrates from sourcing to brick-and-mortar or e-commerce. Visual Merchandising: Build and navigate virtual showrooms and/or scale brick and mortar stores in 3D by desktop or virtual reality headset. Visual merchants can make real-time changes to micro and macro space including fixtures, product arrangement, assortment, and styling. Shopping Experience: Garner near-real-time feedback on store merchandising and experience from your shoppers during planning. Store Communications: Deploy store-specific merchandising instruction down to managers through a mobile or web-based application. On average, InContext Solutions has been able to help brands reduce the cost of sampling by 65%, increase the speed to market by 40%, and improve store audit compliance by 32%. For more information about InContext Solutions, visit www.incontextsolutions.com. InContext Solutions is the global leader in 3D simulation software for retail. Its virtual reality platform, ShopperMX, enables brands and retailers to create better shopping experiences through its ability to ideate, evaluate, and activate within the context of the store environment. InContext Solutions’ ShopperMX platform delivers substantial cost and time savings while mitigating major risk when bringing new ideas to life in retail. For more information, visit www.incontextsolutions.com.